Pioneers in the industry, we offer brochure printing services from India. 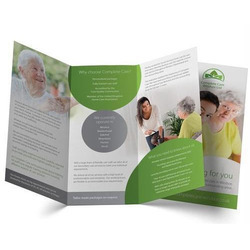 We are offering Brochure Printing Services to our clients. We also offer private white label services for businesses with frequent printing needs. Match your own web site's look and feel brochure maker works with your own identity packaging and brochures. We are leading Brochure Printing Service Provider in Delhi/NCR.